Classique Park Tahlina is a riding school favourite and we think it is due to her stunning looks! 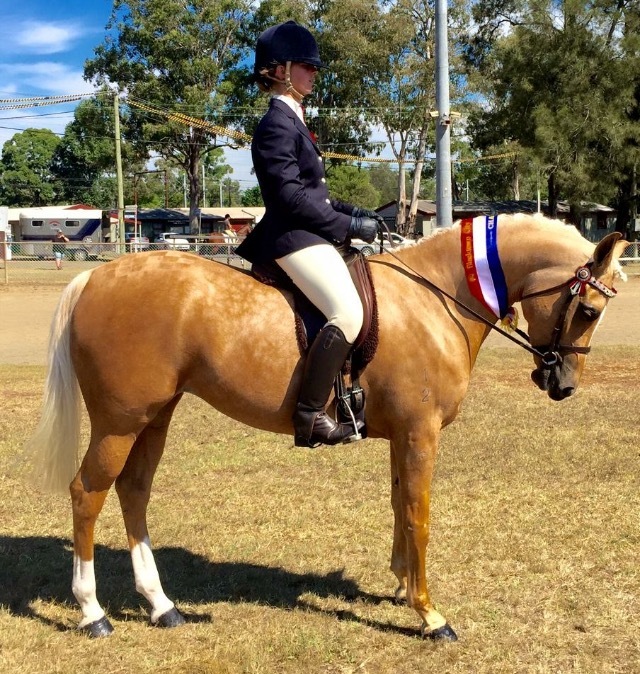 She has been a Sydney Royal Champion Palomino Mare, an outstanding broodmare and just a great school horse too.She is ever so willing to help pupils learn to ride. 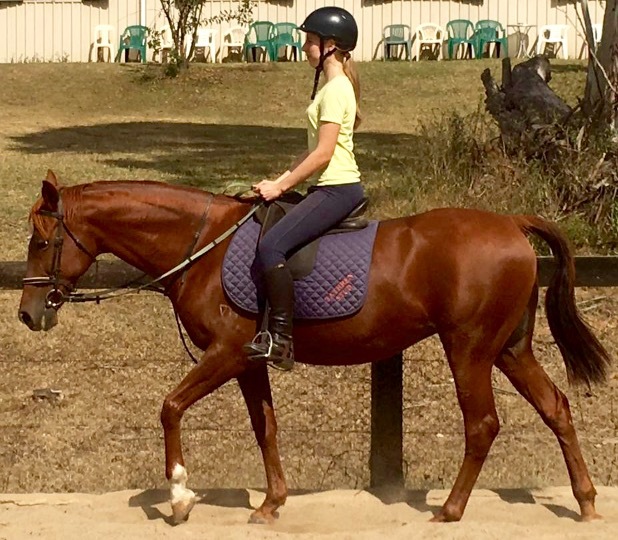 This lovely Tathren bred bay 2003 Thoroughbred Gelding is perfect for those nervous riders. He is 15.3 and a half. 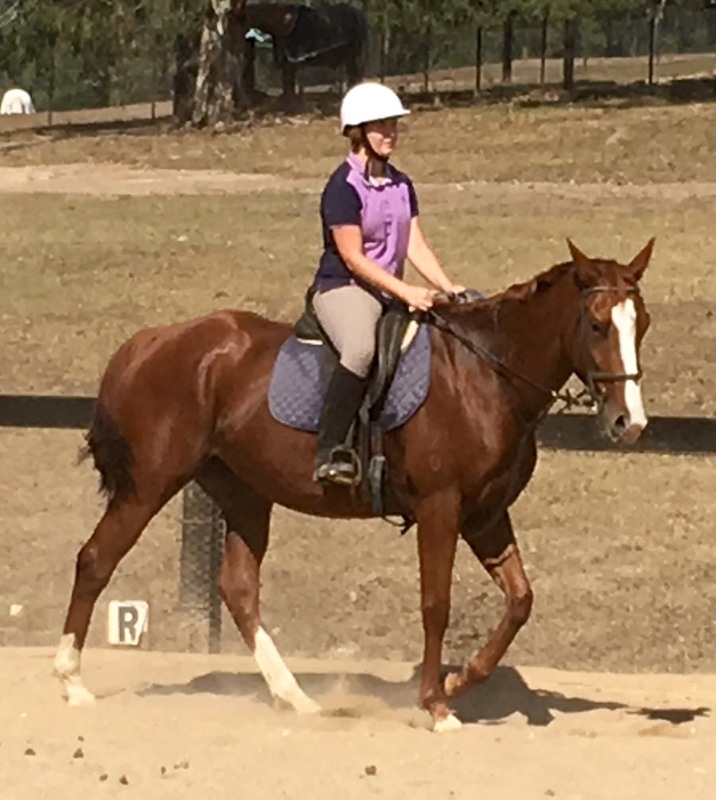 "Bossy" as he is affectionately known has comfortable paces, is beautifully voice trained and will slow down to a gentle stop if rider becomes imbalanced. He was a woeful racehorse winning one race which did not even cover his conception fee. 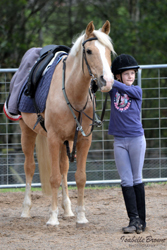 His forte is being in the riding school and helping nervous adults and children gain confidence. He is easy to ride in a frame and enjoys doing dressage tests and going for a trail ride around Tathren. He is a stunning iridescent bay and is pretty enough to be competitive at hack shows. Tathren Hudson is a Chestnut 2010 part Arabian gelding. 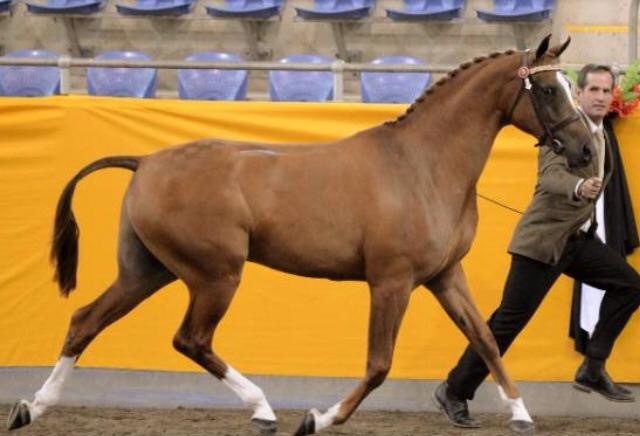 He is by our stallion, Gleniph Sovanity and out of our lovely mare, Tathren Hannah. 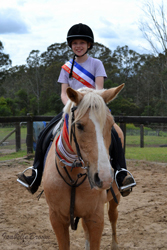 He is a very successful showhorse, and is a very popular choice for our pupils participating in our Show Star program. He is a wonderful school horse just like his brothers, Halifax and Horatio. 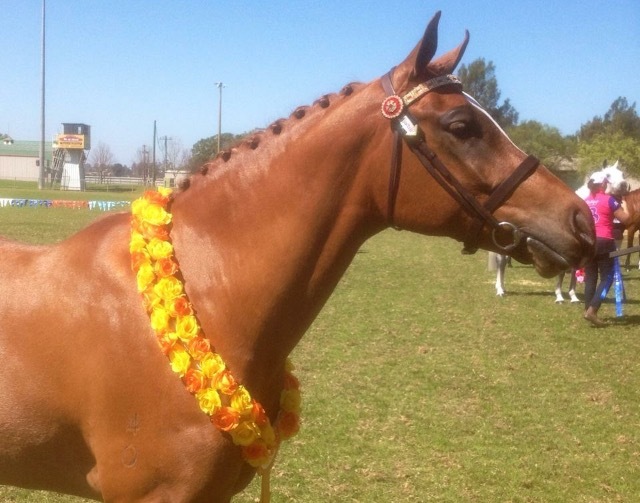 Tathren Spring Persuasion aka Fairy is a 2010 Chestnut Anglo Arabian mare. 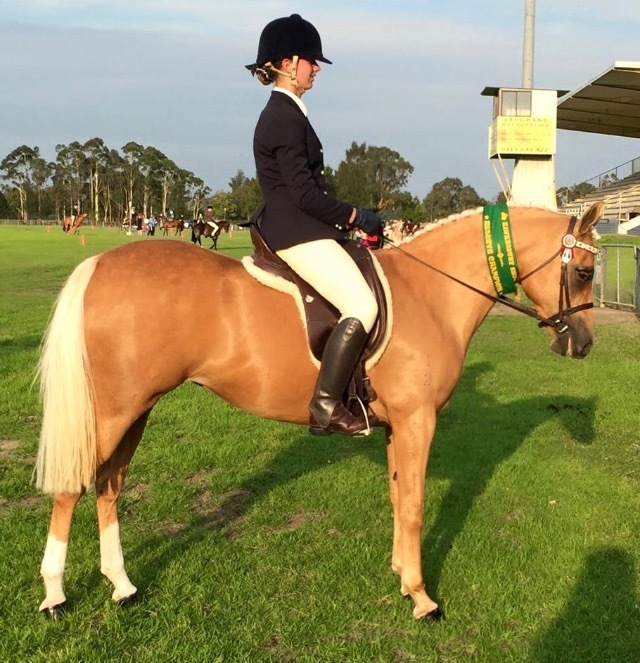 She was bred here at the stud and is by Tathren strong persuader and out of Tathren Tabitha. 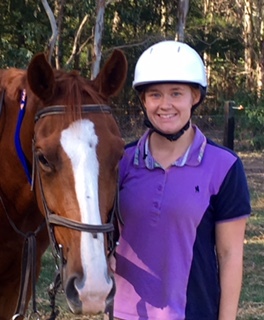 She is beautiful mover and a vital member of our riding school. Honey Boo Boo of Tathren is a gorgeous 2012 palomino part Arabian Mare. She was bred here at the stud, and is by Tathren strong persuader out of Debinda vanilla Skye (a Gleniph Sovanity daughter). Honey boo-boo is a very popular choice for our show star program. 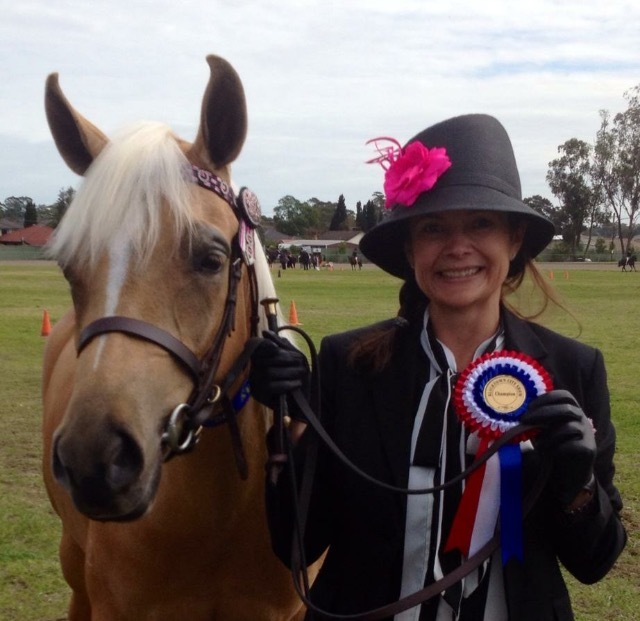 She is a very successful show horse and is shown at state, national and royal level. 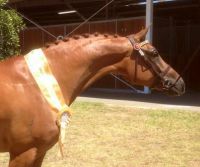 Rubylight Mary is a sparkling 2007 Chestnut thoroughbred mare. 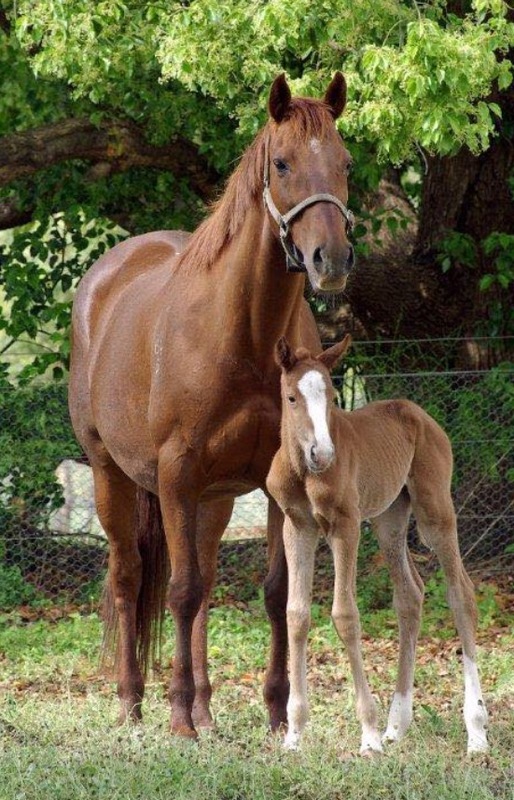 Ruby was bred at the stud, and is by the thoroughbred stallion, Way of light and out of one of our broodmares, Jeune rose. 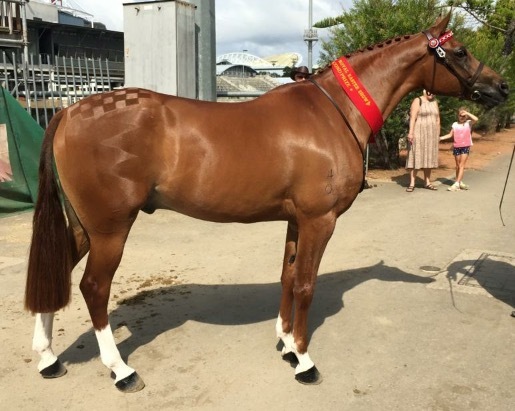 She was a slow racehorse, only ever managing a second place at Kempsey. 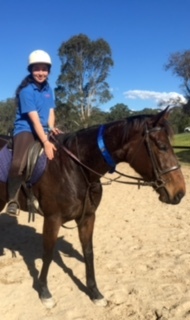 Ruby is a very comfortable school horse that gives pupils an effortless ride. 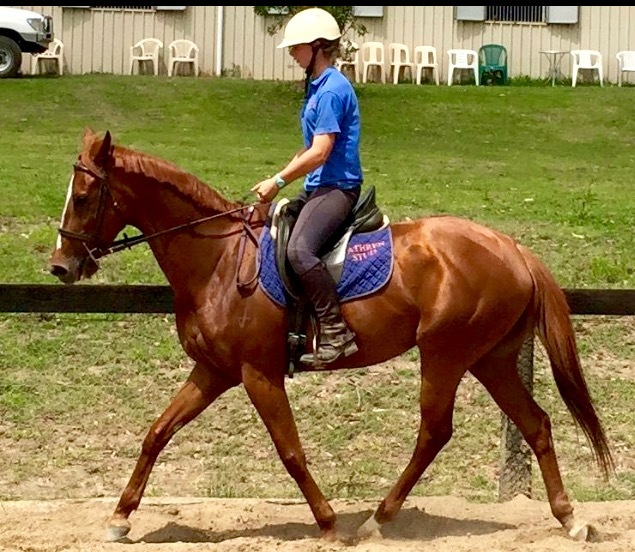 Palace Heights aka Lector is a 2001 chestnut thoroughbred gelding. He was bred by the stud, and is a full brother to Minstrel Heights a.k.a. Hannibal. He was a very slow racehorse, only ever managing to run a third place. 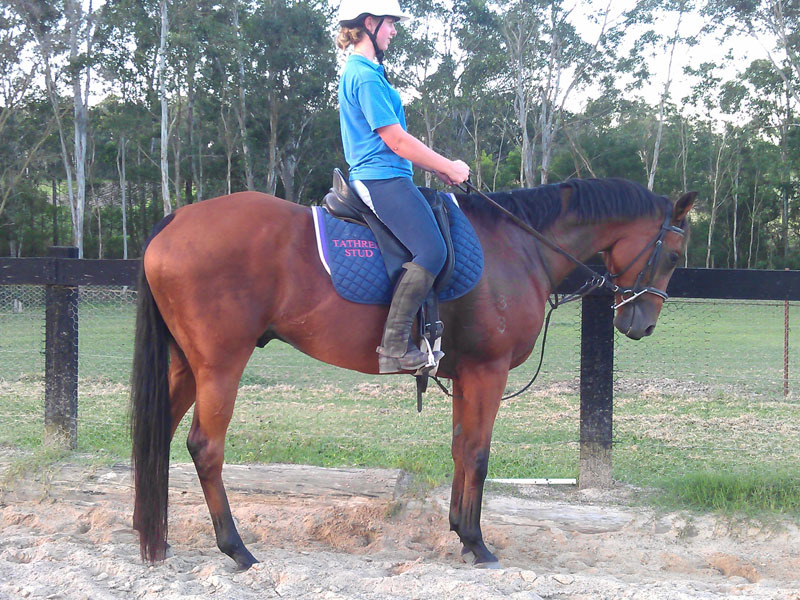 Lector is ever so gentle, has very comfortable places and is a riding school favourite! 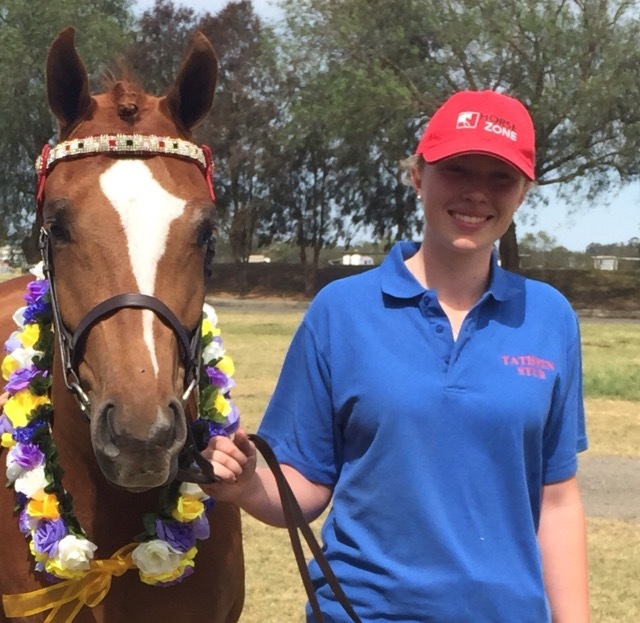 Tathren Hannah was the first horse to fly the Tathren prefix. 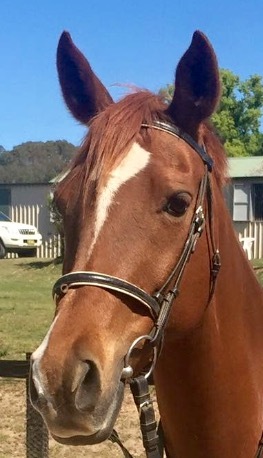 This 1993 part Arabian mare is by the Ralvon Pilgrim son, Kerabian troubadour out of a lovely part Arabian mare, Lyndrian Celica. 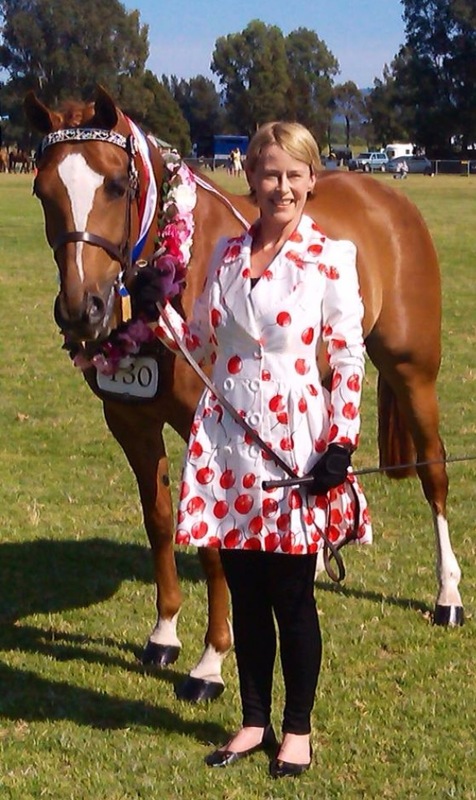 Hannah was a very successful show and dressage horse in her day. She was awarded her supreme roll of merit status by the time she was six years of age. As a broodmare she has produced me 5 sons ,Halifax, Horatio, Harrison, Hamilton and Hudson. Her sons by our stallion, Gleniph Sovanity (Harrison, Hamilton on Hudson) have won many national, East Coast state and Australian Championships between them! Harrison has won a triple crown and Hamilton has won 2! 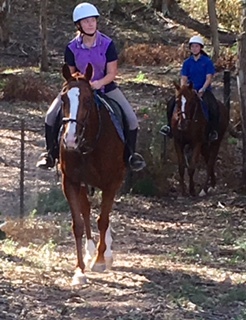 Hannah is a great school horse also and is a favourite with our younger riders. It is a joy to watch her doing lessons with her sons! Tathren Enticing Melody is a 2003 Anglo Arabian mare, bred here at Tathren. Sabrina is an extremely reliable and cooperative mount. She has very comfortable paces, is beautifully voice trained and is extremely tolerant. She was a very successful show horse in her younger years, and is still a favourite with pupils for the Show Star program. 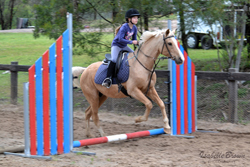 Horses like Sabrina are vital for instilling confidence in nervous riders. She is a shining example of the Tathren breeding program! Miss Monster is another Tathren bred gentle giant. 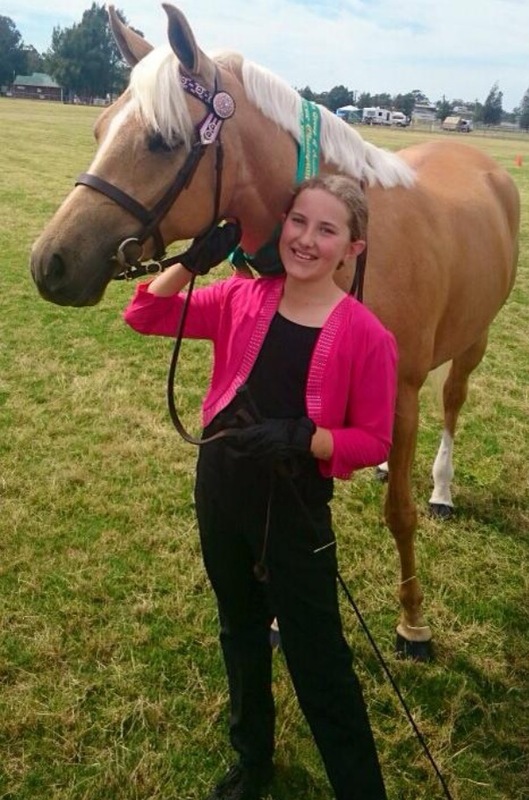 Her racing career was not notable at all, and we soon realised that she really wanted to be a great school horse. Her racing name was Table Ten. 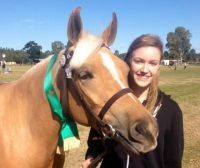 She is by Heeby Reiby out of our lovely Lunchtime thoroughbred broodmare, "on the table" aka Lacey. 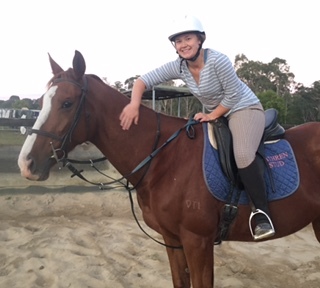 Miss Monster has one of the most comfortable canters and is a real sweetie. We cherish lovely horses like her. 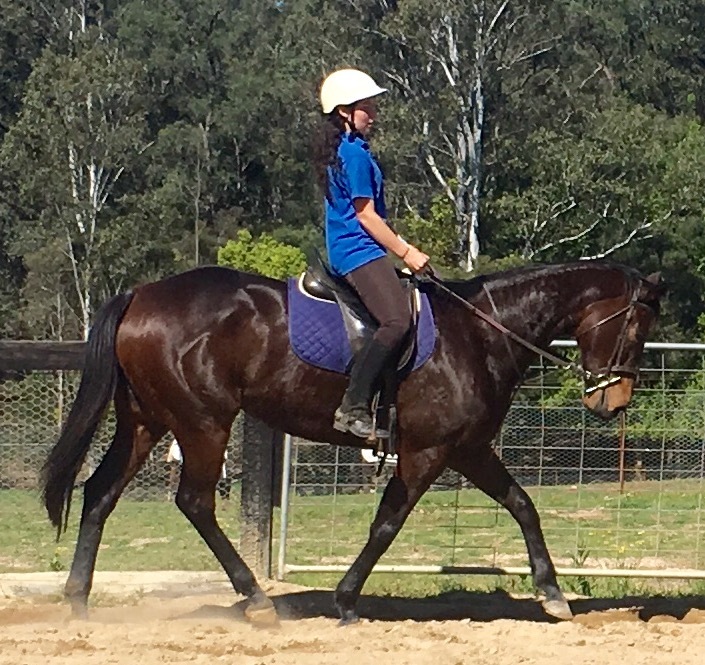 Velvet (Brunchtime) is a stunning 2011 dark chocolate thoroughbred mare. 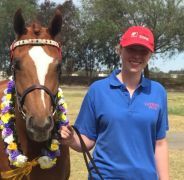 She is by the Redoutes choice son, Venice Beach and out of one of our favourite Tathren mares, "On the table" a.k.a. Lacey. 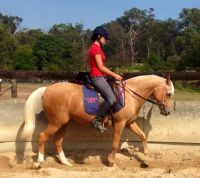 Velvet is a half sister to riding school favourite, Miss monster... And they both have the same beautiful Rockinghorse Canter. 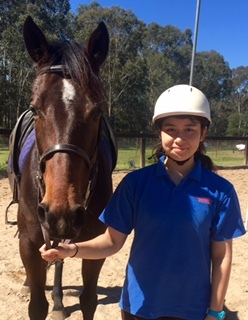 Her half brother , Tathren Strong Persuader is one of the Tathren Stallions and Velvet enjoys doing group lessons with her nieces! 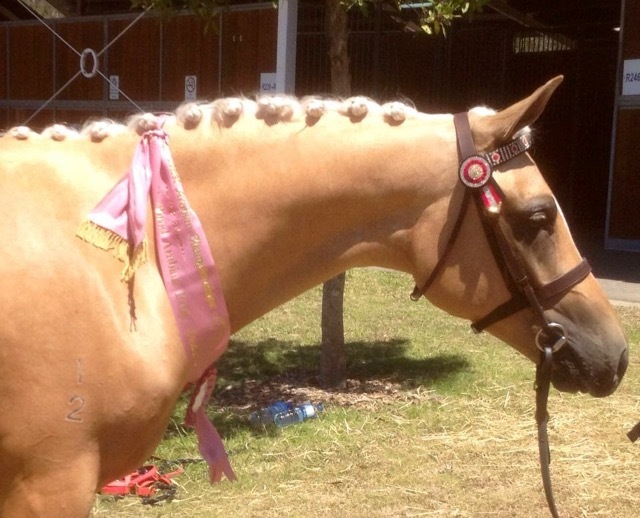 Her gorgeous looks make her a top choice for School holiday camp competitions! 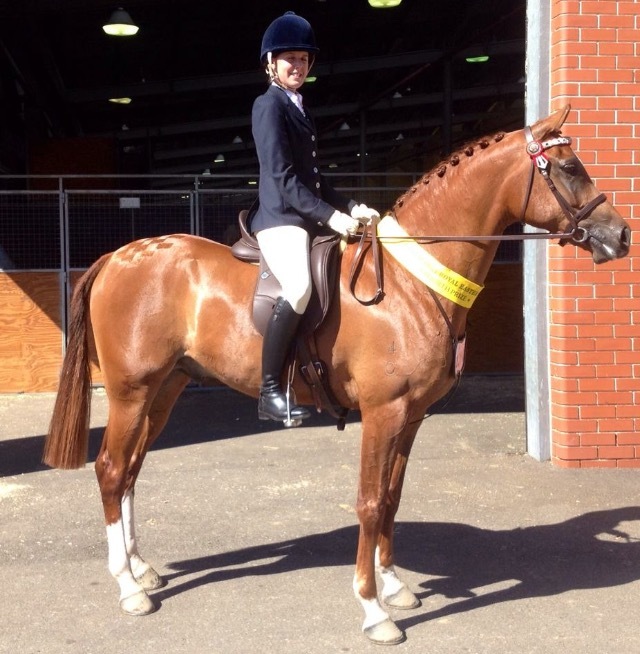 We certainly breed some lovely riding horses! Copyright © 2010 Tathren Stud Farm. Website design by Kristie McCarthy.